Combines decoupling and underfloor heating in one product. The universal carrier matting can be used with all electric underfloor heating cables from 2mm-5.5mm. Only install cables where you need them in the room. Install electric underfloor heating cables quickly and easily using the studs in the matting. 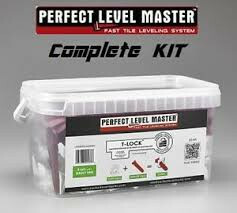 The matting protects cables from trowel work while embedding in adhesive or levelling compound. Use with your preferred underfloor heating cable to save on costs. Low height matting is just 5mm thick. No need to self level the floor, just fix the matting insert the cable and tile. Dural Durabase CI-FH is a decoupling matting that doubles as a carrier for electric underfloor heating cables. Saves you time and money as there is no need to lay uncoupling matting then underfloor heating mats. The matting is available in rolls of 15m and is 1m wide. Once the matting is installed and the adhesive has cured, you can install the cables using the 'studs' in the matting to hold them in place and keeping cables the correct distance apart. Cables should be installed at 75mm for general room heating. When used with 2mm cable it is advisable to incorporate a 3 stud locking loop every 30cm. Plan your cable layout carefully before beginning to ensure there is no cross over of cables, and the positioning of sensors and power supplies is suitable.